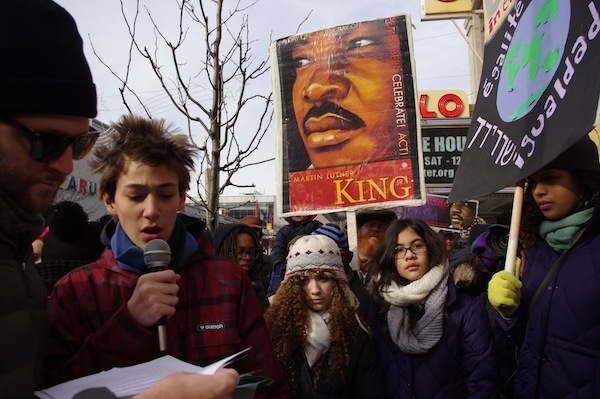 East Harlem school to lead peaceful march in honor of Martin Luther King, Jr | HarlemGal Inc. The public is invited to attend and can join at the beginning of the march or meet along the route to hear student speeches, sing freedom songs, and participate in a unique event that is educational and uplifting. This entry was posted in Community, education, Events, Free!, Harlem, kids and tagged 10029, Dr. Martin Luther King, east 96th street, East Harlem, free, Harlem, Jr., Kids, Manhattan Country School, outdoors, poltics, things to do with kids in harlem, upper east side. Bookmark the permalink.